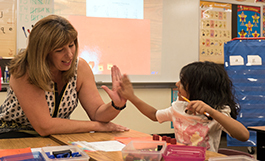 Since 1987, the Peoria Education Foundation has offered grants to teachers in the Peoria Unified School District to enhance the educational experience of students. The Foundation is an IRS designated 501(c)(3) which provides scholarships to students and grants to teachers within the district. 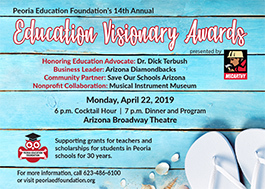 Join us for the 14th Annual Education Visionary Awards Dinner on Monday, April 22, 2019 at Arizona Broadway Theatre. 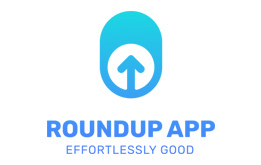 Through the RoundUp App, you can have the change rounded up from each of your purchases to the next whole dollar donated to the Peoria Education Foundation. 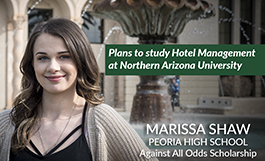 Against All Odds Scholarships are awarded to high school seniors who have overcome significant adversity to complete their high school coursework and plan to continue on with post-secondary education. 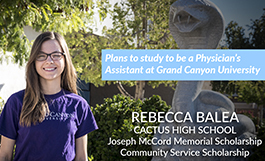 Each year, the Peoria Education Foundation recognizes the efforts of selected high school seniors who have demonstrated academic excellence and a strong commitment to the community in which they live. 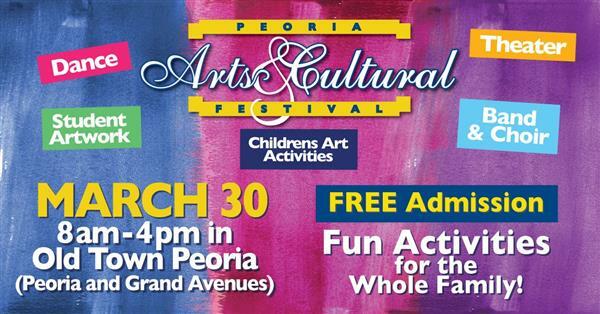 The Peoria Education Foundation enriches and supports educational excellence in the Peoria Unified School District by awarding grants to teachers and principals for projects outside the normal operating budget. 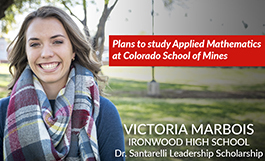 This scholarship is intended for graduates who have demonstrated excellence in leadership throughout their high school career.